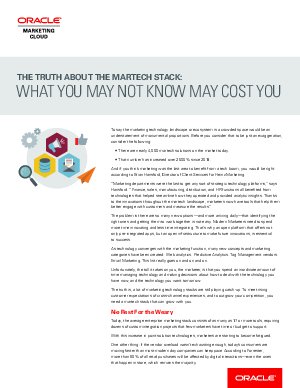 • There are nearly 4,000 martech solutions on the market today. • That number has increased over 2500% since 2011. And if you think marketing was the last area to benefit from a tech boom, you would be right according to Brian Hansford, Director of Client Services for Heinz Marketing.